Joshua is a Vancouver based immigration lawyer that provides immigration services to individual and corporate clients around Canada and the world. Joshua's corporate immigration practice focuses on NAFTA professionals, intra-company transfers, labour market impact assessments (LMIA's) and various paths to permanent residence through provincial nominee programs and Express Entry. He also works with individuals and families, with an emphasis on employment, investment, citizenship and family sponsorship based applications. He regularly assists clients with various inadmissibility issues as well. Joshua has a diverse background in immigration, which has included assisting clients with various temporary residence, permanent residence and citizenship applications to Citizenship and Immigration Canada, the Canada Border Services Agency and international Canadian visa offices. 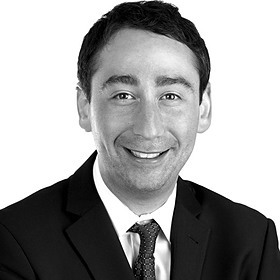 Prior to joining Larlee Rosenberg, Joshua practiced immigration law with other leading immigration firms in Canada, and has frequently appeared at various provincial and federal tribunals and levels of Court. *Joshua can be contacted via email at Joshua.Slayen@larlee.com. Guest Speaker - The University of North Dakota School of Law - "The Transition from Law School to Lawyering"
Guest Speaker - Everyday Investors United - "The Real Deal on Real Estate Law"
Presentation - What is the LMIA and What is its Purpose? Joshua's corporate immigration practice focuses on NAFTA professionals, intra-company transfers, labour market impact assessments (LMIA's) and various paths to permanent residence through provincial nominee programs and Express Entry. He also works with individuals and families, with an emphasis on employment, investment, citizenship and family sponsorship based applications. He regularly assists clients with various inadmissibility issues as well. Joshua can be contacted at Joshua.Slayen@larlee.com. Joshua provides immigration services to a range of corporate clients, with a focus on NAFTA professionals and intra-company transfers. I write about law, technology and social media based on my experience as a lawyer and my work with LegalLinkup.com. Zaifman Immigration Lawyers is a full service immigration firm in Winnipeg, Manitoba (Canada). We help clients in the following areas of law: Temporary Visitor Visas; Permanent Resident and Landed Immigrant Options for skilled and low skilled workers; Permanent Resident and Landed Immigration Options for business managers and owners; All aspects of the Manitoba Provincial Nominee Program (MPNP) and other provincial nominee programs; Work Permits; Citizenship Applications; Permanent Resident Cards; Humanitarian and Compassionate Applications; Family Sponsorships; Study Permits; CBSA Interviews, Admissibility Hearings and Appeals ; Refugee Applications; Federal Court; including Applications for Leave and Judicial Review, Stay Applications, Appeals and Writs of Mandamus; Inadmissibility to Canada (Re: criminality and/or misrepresentation); Equivalency Essays - Foreign Law-to-Canadian Law (re: criminality); and Waivers and Pardons. Upon completion of my work with LegalLinkup.com, I began practicing law in Winnipeg in May, 2013 and joined George & Tweed Law Corporation (located in Transcona) in February, 2014. My practice includes the following areas of law: Real Estate Law, Estate Planning, Wills and Powers of Attorney, Probate and Estate Administration, Estate Litigation, Family Law, Business Law, Notary Services. Taylor McCaffrey LLP is a large, full service law firm in Winnipeg, Manitoba. I worked in the areas of business law and commercial litigation. My responsibilities included but were not limited to: conducting research; interviewing clients; drafting pleadings, contracts and legal memoranda; appearing in court and facilitating commercial transactions. At Integreon Inc. I focused exclusively on financial litigation. My responsibilities included but were not limited to: drafting legal memoranda and legal opinions; conducting research and performing document review functions. I was honored to serve as President of Phi Alpha Delta Law Fraternity in my final year at UND Law. I was responsible for: planning and implementing programs and fundraisers; working with fellow students to achieve chapter goals; and facilitating legal clinics for teens that had committed criminal offenses. I worked at Capital Camps for two summers. During this time I planned and implemented leadership curricula for teenagers; supervised staff and campers; and worked closely with administration to help ensure the smooth running of camp. At Winnipeg School Division I worked closely with guidance staff, teachers and administration. My responsibilities included but were not limited to: aiding students in the pursuit of post secondary education, scholarships and jobs; and planning and implementing workshops (and one-on-one sessions) aimed at tackling both "school-to-work" transition and "school-to-university" transition. Legal Linkup intelligently matches lawyers and clients based on needs and expertise. My responsibilities include but are not limited to: strategic planning; branding; corporate relations; PR and media relations; social media and blog management; sales and marketing; account management and customer experience. Immigration Lawyer with Larlee Rosenberg, Barristers and Solicitors in Vancouver, Canada.